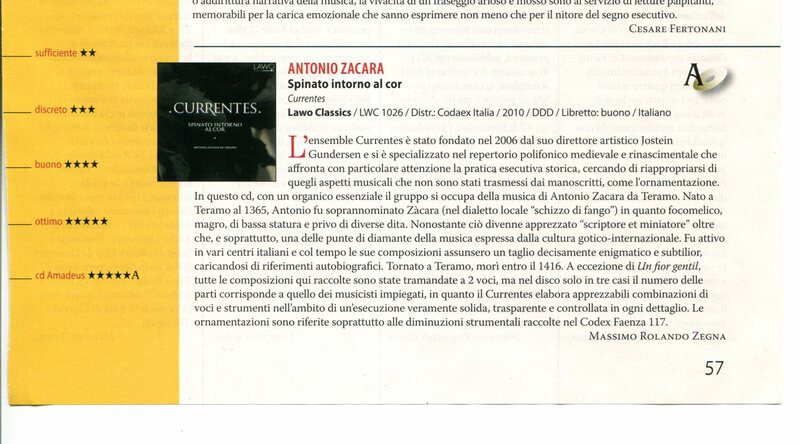 Excerpts from the CD "Spinato intorno al cor"
Read a Norwegian review of the recording here. Read an English review of the recording here. Read an Italian review of the recording here. Excerpts from the programme "A mass for Zacara". Ordinary by Dufay and Zacara. Proper by Currentes. Recordings from the research project "Wheels within wheels." A selection of recordings from the artistic research project "Wheels within wheels. New strategies for interactions between performers and composers" is available at the homepage of the composer Ruben Sverre Gjertsen.